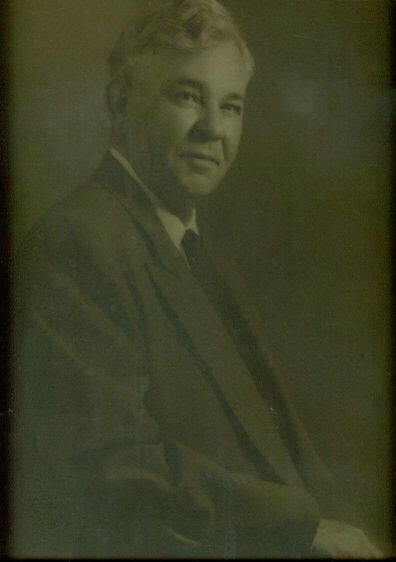 Howard Payne College at Brownwood, he received his legal education at the University of Texas and was licensed to practice in 1914. He was engaged in private practice in Fort Stockton until his appointment as district attorney there. After enlisting in the Army during 1917, Mr. Smith received training at camps in Texas, South Carolina and Oklahoma, and was commissioned a second lieutenant. He was on duty in California when the Armistice came. Mr. Smith was a lifelong Democrat, and at one time was active in party affairs. An avid student of history, he was a member of the Baptist Church and Tarrant County Bar. Six of Mr. Smith's eight brothers, now all deceased, were lawyers. Those included Chief Justice Edward W. Smith Jr. of the San Antonio Court of Civil Appeals, Stuart R. Smith, Robert E. Smith and Charles D. Smith, all of Beaumont,and Sawnie B. Smith of Edinburg. Beginning with a great-grandfather and a grandfather, prominent Tyler lawyers during the Antebellum and Reconstruction eras, and including uncles, brothers, first cousins and nephews, Mr. Smith's family numbered 23 Texas lawyers. Three nephew lawyers, Judge Tillman Smith and Travis Smith, both of Corpus Christi, and Robert Smith Briggs of Beaumont, survive him. He is also survived by his wife; and two step daughters, Mrs. Jack McCallister of Fort Worth and Mrs. Stanley Disney of Pasadena, Calif.